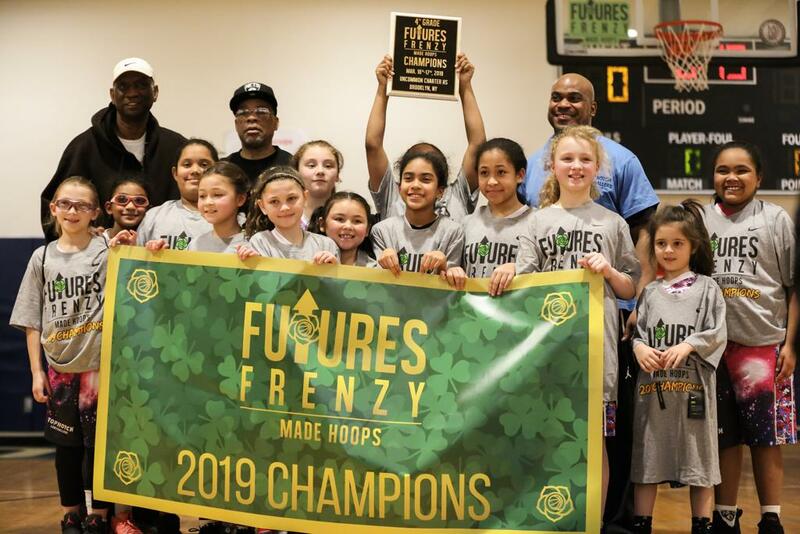 With spring right around the corner, our budding roses of the future competed in Brooklyn. When the dust settled, three champions were crowned in the class of 2025, 2026, and 2027. The Pennsylvania Sparks played up a grade in the Rose League and held their own. 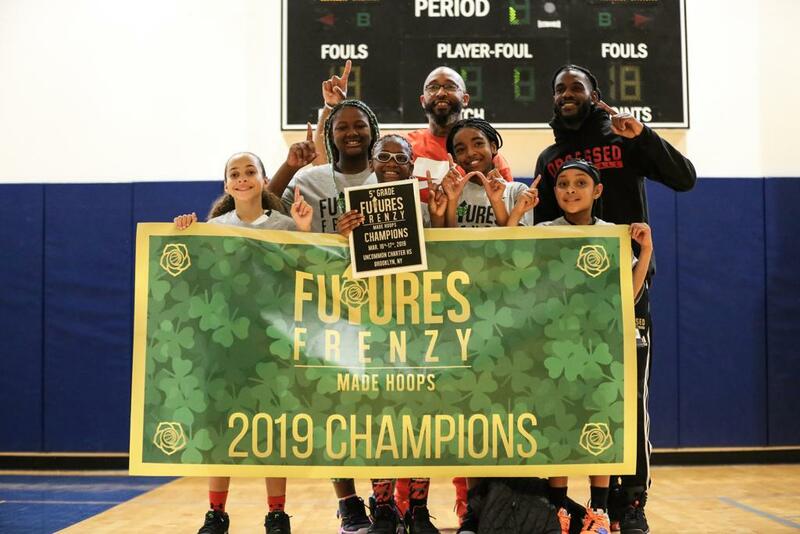 They showed weekend why they are one of the top teams in their class by winning the chip in the class of 2025. Carryn Easley and Amaya Scott are one of the toughest backcourts on the east coast as both guards have court vision way beyond their years. Amaya Scott is a strong on-ball defender that causes havoc when she puts pressure on the ball. Carryn Easley has a quick first step and gets to the rim with ease. Both prospects are consistent shooters from three as well. Easley and Scott are complimented well by dynamic wing Azanah Campbell. She’s long and laterally quick on the defensive end of the floor and can rebound on both ends of the court. Campbell consistently finishes well in transition and around the rim. These three prospects led a team with effort and en route to a championship victory over Top Notch. Azanah Campbell (PA Sparks) – Campbell is a long athletic combo player who has all of the right tools to keep improving down the line. She is athletic and often presents a difficult match up against others in transition. She showed the ability to take the ball down the length of the floor and finish. Angelina Hodgens (NYC Exodus) – The gritty point guard showed toughness every time she took the floor. Hodgens has great IQ and anticipated opponent’s moves to get into the passing lane on the defensive end of the floor. She can also be known to be a set shooter from three. Alexis Mitos (Top Notch) – Mitos is a shooting guard who has the ability to score the ball at a high rate. She has the ability to knock down the mid range shot when she turns the corner. Mitos also creates space on her step back and was a consistent set three-point shooter. She is great on ball defender as well. Diamand Fields (New Heights NYC) – Fields is a quick up-tempo guard who consistently found her way to the rim. She finished the traditional three-point play and is a consistent foul shooter. On the defensive end, she has quick hands. Julia Girme (Bay State Jaguars) – This prospect is athletic with a high motor. She does all of the extra things to keep her team in games. She causes jump balls on the defensive end and is a quick rebounder. In transition, she does a terrific job of pushing the ball. Nicole Mandia (SI Bulldogs) – Mandia is a hard-nosed player who gets to the basket with toughness as she showed the ability to finish on either side. In the passing lane, she did a fantastic job of anticipating passes. All the way from California, Team Obsessed took the trip to the east coast this weekend and did not leave empty handed. Point guard Kaleena Smith, who just became more fun to watch every time she hit the floor, led their championship run. Being one of the most dynamic guards in any division, the future is bright for this young lady. She has an IQ and passing ability way beyond her years and it was on full display as she led her team to a championship. Mya Polk was one of the most interesting players from this club as she played the off guard position. She was an excellent on ball defender and used her change of speed to get by defenders to get the rim. She is also a great set shooter from long range. 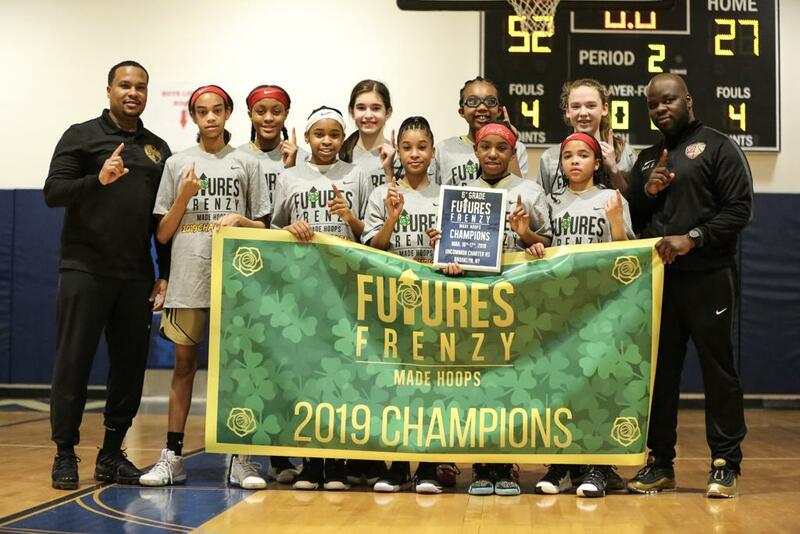 The conditioning, ability to finish in transition, and ability to share the ball to find open looks proved to be too much as Team Obsessed earned the championship. Our youngest division had some of the closest games through out the weekend but it was Top Notch NYC who walked away with the win. Combo guard Arielle Lopez led this young squad as she showed great court vision. One aspect that was extremely impressive was her ability to work the ball inside and relocate for her own shot. When it comes to shooting, she showed deep range for her age. Kaleena Smith (Team Obsessed) – There are not enough words to describe this west coast guard. She can score from anywhere on the floor and is consistent from three both off the dribble and set. She can shoot the mid range and can get to the rim as well. Smith is a strong on ball defender with quick hands and is laterally quick. She also has a high IQ and passing ability way beyond her 2026 class year. Kiyla Fowler (Team Monarchs) – Fowler is a laterally quick and athletic prospect caused havoc on the defensive end of the floor. She is able to get out and run in transition and plays through the whistle while causing lots of jumps balls. She proved that she can finish on both sides of the rim. Josie Pinnock (Positive Direction) – The Queens native point guard was impressive every time she hit the floor. Pinnock has great court vision and showed her ability to shoot the mid range off the dribble. Zoe Osby (Fairfax Stars) – Osby is a post player with great back to the basket moves and can finish on both sides of the basket. She has the ability to catch on the run and finish. She is very active around the glass on both ends of the floor and is able to get the ball ahead in transition. Arielle Lopez (Top Notch NYC) – Lopez is a young guard with great court vision as she is able to feed the post well for her young age. She finds the open player and is quick to create her own shot as she is a consistent shooter with long range. Avery Bollin (Bay State Jaguars) – This combo player is young and tough. She is constantly fighting for rebounds as she has great hands and is able to finish on both sides of the rim. Susan Gentile (NJ Raptors) – Gentile is a young quick lead guard who sees the floor well. She’s smart with her mid range pull up in transition and uses her change of speed to get to the rim.